I had a small breakthrough today while creating another transfer piece in my Transformation series. It’s my 3rd heat transfer of a Windsor McCay Sunday strip— using prints from my new laser jet printer. 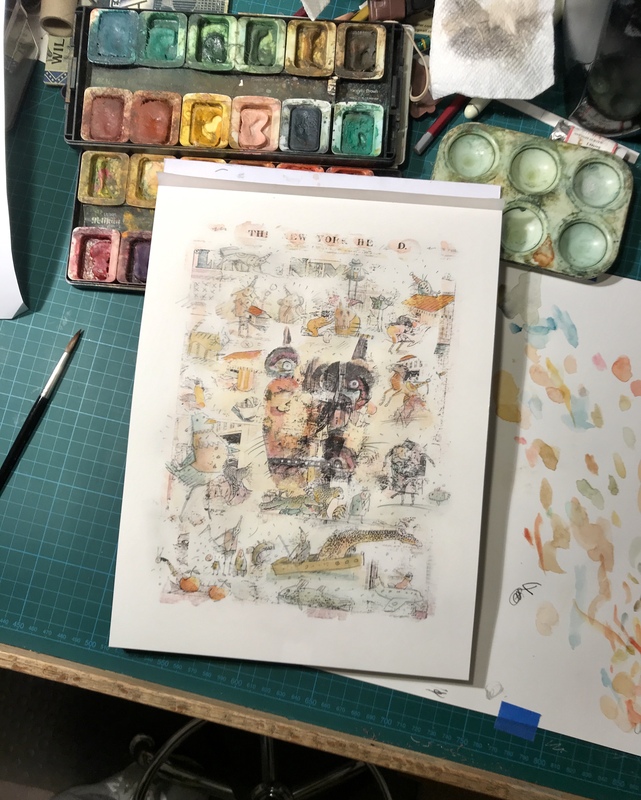 After transferring chosen imagery from the strip onto quality drawing paper, I remembered that I wanted to leave an empty space in the middle of the page to fill with a larger image, just as I did on my last McCay piece. I decided to take a chance and transfer parts of primitive mask prints directly on top of the images I’d just transferred. I am delighted with what happened! I now have an image in the center created from multiple imagery that’s melded into one magical fragmented face. My new heat transfer works have been just the ticket I needed to break out of drawing patterns that were stifling my creative energy. The somewhat controlled and yet accidental images that I burn to the paper’s surface have helped me find new shapes and content that I would not have conjured up without them. 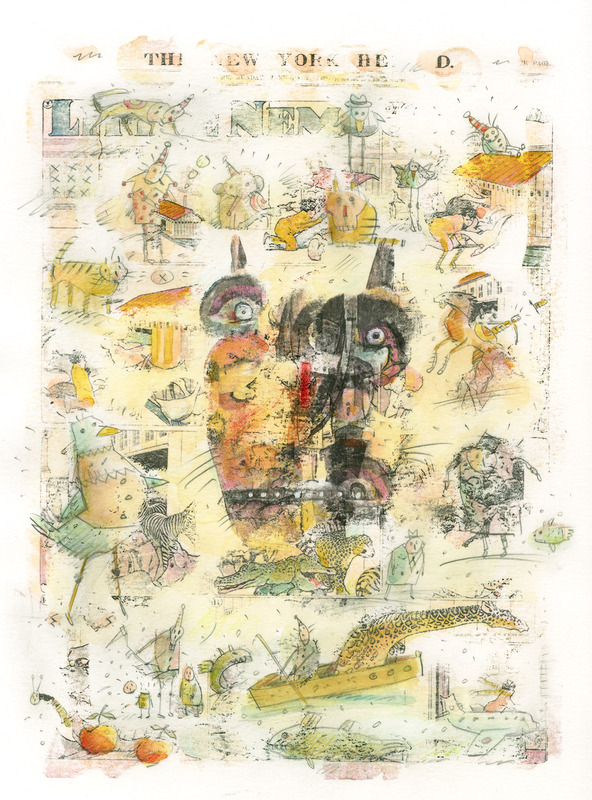 There is continuity between these drawings and those in my Death at the Circus series, but the transferred imagery lends my new stuff a more aged quality to the new pieces and the forms and textures and they, in turn, invite me to make drawings that are more fanciful. This is exactly what I was seeking, although I didn’t know how to access the form until I began the process, during which things revealed themselves. I’m looking forward to unearthing more of these magical moments as I continue the series.